This blog post isn’t for you. It’s for me. If you happen to take this ride with me you may or may not learn something. If you do learn something, tell me what it is. This isn’t a vent or rant. It’s just something that I’ve been discussing with several of my instructor friends and something I wanted to get onto the proverbial paper. 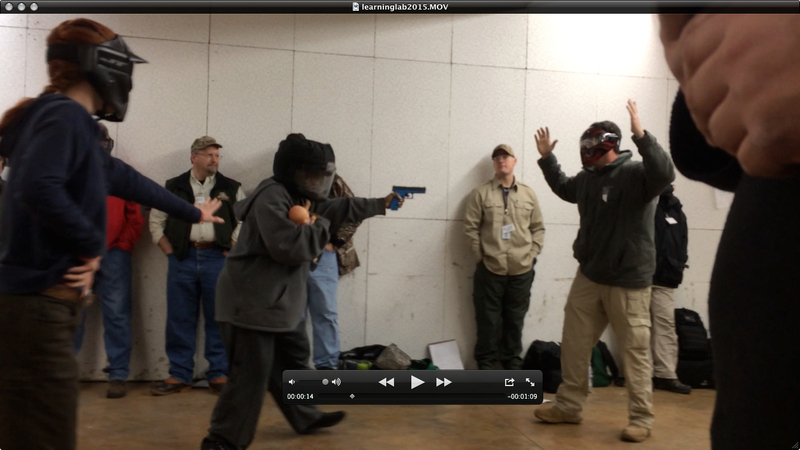 What does it take to attend quality firearms training and why would someone do it? This year is going to be my most intensive training year to date. 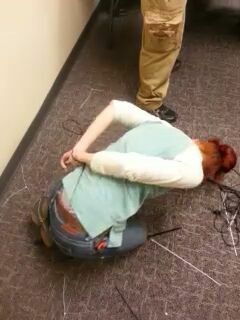 Escaping from zip ties from behind using a paracord saw in the Unthinkable class. Already this year I have been to Ohio for Unthinkable and down to Memphis for the Tactical Conference. In June I’m off to Washington State for an Instructor Development Course with Kathy Jackson and in July I’m sitting in on another instructor Development course in Iowa. Then it’s down to Virginia in September for Advanced Tactical Handgun with Ernest Langdon and the very next week I’m off to Oklahoma to attend an Advanced Instructor course with Tom Givens. Then, I have another defensive pistol class in November? Somewhere in all that I have to reserve our spots in next years’ Tactical Conference before all the tickets sell out and start reserving my places in next years training events. I’m super thrilled. I’m also freaking out. How am I going to pay for all of this? No lie. I’m running on faith a little here. I think I’ve had people assume that just because I take my training seriously and attend training we’re somehow wealthy. Yes, we have a training budget but that budget is usually maxed at about 2-3 classes. In case you weren’t keeping count, I’m scheduled for five more classes in addition to the two I’ve already attended this year. The fact of the matter is we are solidly middle class Americans who aren’t as wealthy as we are lucky and creative. We have the same considerations any other family has to face. Childcare, travel expenses, time. To go to Ohio we had to pull in some favors and do some bartering for time and money particularly where child care is concerned. The hoops we’ve jumped through already to get to the Tactical Conference are pretty crazy when you think of them from a purely economical stand point including driving a total of 300 miles out of our way and adding two days on to our trip to find a care provider for our kids. Yes, there was the added benefit of spending some time with some great friends and they greatly lightened the burden of the expenses by putting us up for two nights and watching our kids. Shooting bowling pins at 30 yards at Partner Tactics. I’ve enjoyed other help along the way that leaves me struggling to express my gratitude. I’m graciously at the mercy of strangers who will be picking me up from airports, allowing me to room with them in hotels to split costs or even crash on their couches. Right now I’m sitting down to amend our budget again for any and every last drop. Because some time in 2012 I decided I wanted to earn my way to a place where I could give back in some way. Knowledgeable, experienced instructors (particularly female) are getting harder to find and are becoming diluted amongst the deluge of inexperienced and not-so-knowledgeable instructors. That isn’t a slam to anyone, just a fact. I’ve set my goal to being a Vicki Farnam or Kathy Jackson or Lynn Givens. The problem has become that this investment seems to demand so much sometimes with no return in sight. It may be easy to assume that people in the training industry only push training because they want to fill their classes and make money. I have yet to meet a single instructor who feels that way. Of cours the money would be nice but the people I know in the training industry commonly undersell their classes, give way too much of their time, donate hours upon hours, spend weeks away from their families all for the singular goal of preparing people to defend themselves. They do anything they can to make it accessible to the common man or woman only to be rejected. 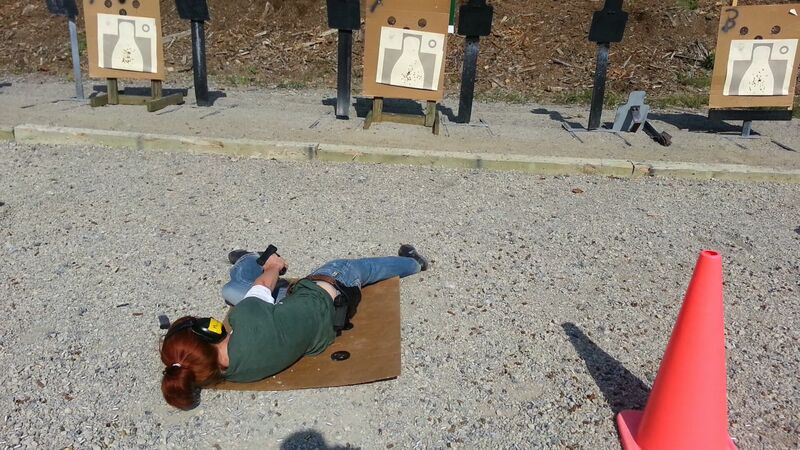 Shooting an attack target in IDPA. Very few instructors actually make a living from the training they provide. It’s often not considered that the people providing training are taking time away from their families, possibly finding babysitters, traveling just as far or farther than you and making next to nothing for their efforts. Like I said, this isn’t a rant. or a vent. It’s just the way it is and it’s not going to change. Not any time soon at least. And not without a realignment in what a majority of people think about training. Instead of thinking of it as an investment or a need or a priority it’s often thought of as a box to check, a luxury or a recreation. Make no mistake about it, training can be fun but sometimes it’s not. Sometimes it’s frustrating or embarrassing, exhausting and hard work. Many times it does nothing more than highlight how much more training you need. Shooting from unusual positions in Extreme Close Quarters. In my “other job” I’m an EMT. That job requires so many hours of continuing education in order to stay certified. The complaints I hear at medical symposium and classes are the same I hear in regards to firearms training with a select difference. The people in the medical classes have to be there. The consequence in not attending is forfeiting their licenses. They gripe about having to find babysitters, they whine about how much they’d rather be mowing their lawn or attending a barbecue but they are more invested in being able to recertify than they are in their free time. Magically, they find a way to attend. They drive the hours, they get the hotel rooms, they make it work. Because they have to. I don’t believe in requiring people to take firearms training but I do believe that people should set themselves the same standards and think of training as something they must do rather than something that is optional. I’m looking at my training schedule and my investment and wondering if I’ll ever see a return on it in the financial sense of the word. Probably not. But that’s not what I’m looking for. I’m looking for a security return from my students. From a consumer standpoint I’m investing in my ability to effectively defend myself in a time of need. That’s something I must do. The stakes are too high. And because I must do it I will find a way to pay for it. I’ll go over my budget again and find a way. I will compromise my own comfort and free time to attend. I will spend a month pumping milk for my son so I can leave him with a babysitter. It’s not something I want to do (well, not entirely. No lie. There’s some want). It’s something I must do. 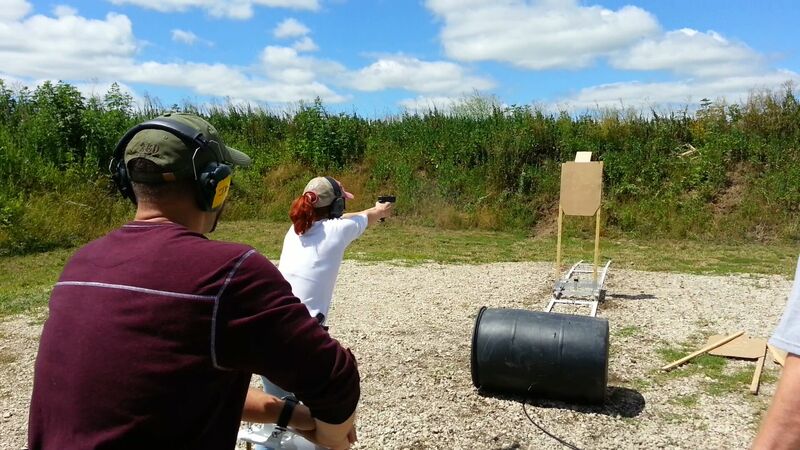 Posted in defense, life, training and tagged firearms training, instructor Development course, Kathy Jackson, personal, Tactical Conference, training. Bookmark the permalink.